What does it take to insure a human life? Life insurance isn’t always a comfortable topic. Most of us are more comfortable ignoring the inevitability of our demise and overestimating the length of our stay in the mortal realm. However, none of us would purposely leave our family high and dry at that time, so having life insurance should always be a priority. 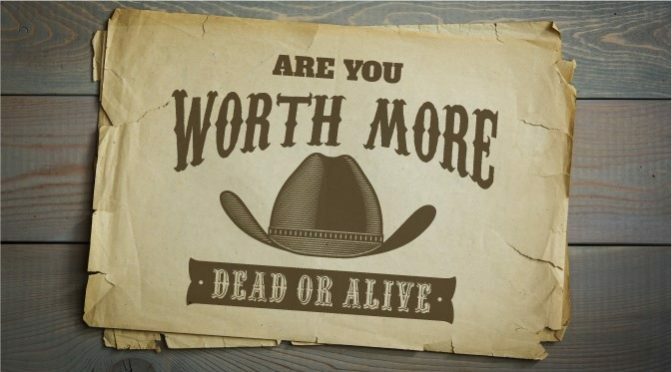 At Paradigm Life, sometimes we hear clients say, “I’m worth more dead than alive!” But they are sorely mistaken. When you consider the average life expectancy and potential for income over those years, you can grossly underestimate yourself. We always emphasize that you are your greatest asset and the money you can generate in a lifetime is beyond specific calculation. Because putting a value on having you around is hard, how do you set up insurance to guarantee your family can weather that storm? Typically, when people purchase traditional life insurance they’re thinking that the only way to cash out and benefit from the policy is to actually die. In that case they’re purchasing peace of mind that family will be taken care of. But what if we could show you a way that offers a wealth strategy instead of just a death payout? What do we recommend you do that’s different in setting up this policy? The death benefit is a secondary asset to the primary policy (definitely a paradigm shift from the way people typically view life insurance). The focus of the policy then shifts to provide the ability to use your assets while you’re alive. The structure provides the security of a death benefit, but allows you to focus on the cash value. Cash value is the amount of value within any whole life insurance policy. After you put money into a policy, you have a “permission slip” to access liquid money and use it you need for short term purchases (up to the amount you put in). You can borrow and spend the money knowing that if something were to happen it would be covered, because the death payout covers any outstanding loans against the policy. Then use gains to pay the money back that you borrowed. 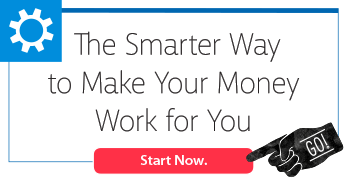 Because when you have access to money you have more potential to make even more money. The more you can invest in yourself—the true asset. And again, if something should happen to you, the death benefit will pay the loan and your family will not bear the debt. Traditional financial planning tells you to stockpile your cash in the stock market, wait and watch, and hope it will grow to be used later for retirement. Let’s rephrase: Your money is literally locked up (unless you pay huge penalties) and sits in an account until you’re at least 65 (heaven willing), where you take only a small sum at a time and hope it lasts until you pass. With permanent life insurance and a cash addition, you have leverage. Even if you borrow from your policy, the rate of return on your cash value stays the same. The most unique feature is that the rate of return is not affected by your loan—doesn’t hinder growth, impede progress, or change the outcome of your policy. If you’re able to use your money while earning compound interest, you avoid what we call the silent tax, or inflation. Wrap your head around that. It’s because the asset is the person—you. We want to show you how you can avoid this. If you enter into retirement with permanent life insurance with a guaranteed death benefit, you know that any assets you spend in your cash value will be replenished on your passing. And when that unknowable day comes and you pass on, the death benefit can fund your spouse’s retirement too—and that’s only one option for the funds. Human life is the greatest asset we’ll ever talk about and cannot be quantified. If you set up insurance the right way you can grow your money, use it when you need it, and leave a legacy for your family. Education, lessons, and experience can be passed to your family and we are dedicated to help. Your legacy will not be only monetary; it will be a lifetime lesson in financial strategy. To help you learn more about how these concepts are put into action we’ve created a FREE, extensive eCourse called Perpetual Wealth 101®. You’ll receive access to video tutorials, articles, and podcasts. It literally costs you nothing to become educated on this ideal financial strategy and start changing your wealth paradigm! If you don’t already have a FREE account, take advantage of this resource by clicking below.